WEF is an international event which was focused on different fields of engineering in a global perspective. WEF2017 has analyzed recent developments in different engineering sectors and the best practices ofthe most relevant mainstream technological applications linked to the general topic of the forum. 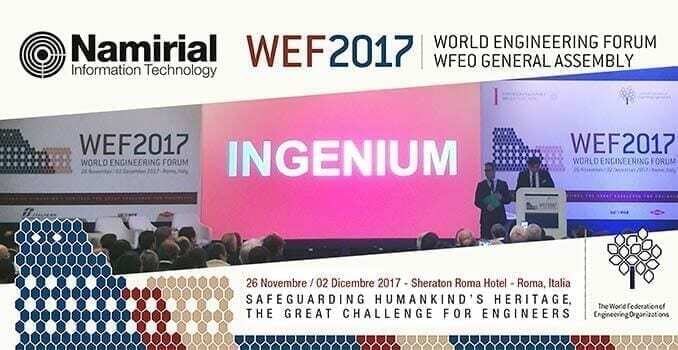 The event, organized with WEFO (international, non-governmental organization representing the engineering profession worldwide), took place in Rome on 27th, 28th and 29th November. The main topic of WEF2017 was the “Safeguarding humankind’s heritage, the great challange for engineers”. The Forum has focused on the engineering support offered to the social and economic development, with special reference to the role of engineering in sustainable development and technological innovation.